Consumer Surveys are a great way for publishers to diversify how they monetize their websites. There’s a couple requirements that publishers have to meet before they are accepted into Google Consumer Surveys. First publishers have to be approved for Google Adsense — Consumer Surveys leverages Adsense for payouts. Secondly, a site must place “New Publisher Validation” surveys onto their site and go through an evaluation process to ensure they meet the quality standards — which are opaque. After signing up for the Surveys, we implemented consumer surveys onto approximately 15-20 of our most popular posts — knowing that the bulk of traffic came from these pieces. Once the code was placed onto those posts, my evaluation period began. Google says that the evaluation can be anywhere from 14 days to 30 days. Our evaluation period was smack in the middle at 22 days where we served thousands of impressions. I was curious about the small chunk of change I earned during my evaluation period — the numbers were right there in my reporting dashboard. Since I was accepted, would we be paid for money during the qualification period? To answer your first question, you will not be paid for evaluation period. Since your account has already been approved, it should start generating revenues henceforth. Okay, we won’t get paid for the eval surveys we were serving, but will get paid for any survey questions answered after approval. I also asked how I could see we could access our Consumer Survey earnings through the day. For Adsense, I have an app on my phone that I check periodically — would this display the money earned from Google Consumer Surveys? Or would I have to log into the reporting dashboard to see my survey earnings? You should be able to see the total accumulated sum on a monthly basis on AdSense. To check your daily performance and generated payable you need to visit your publisher dashboard here. 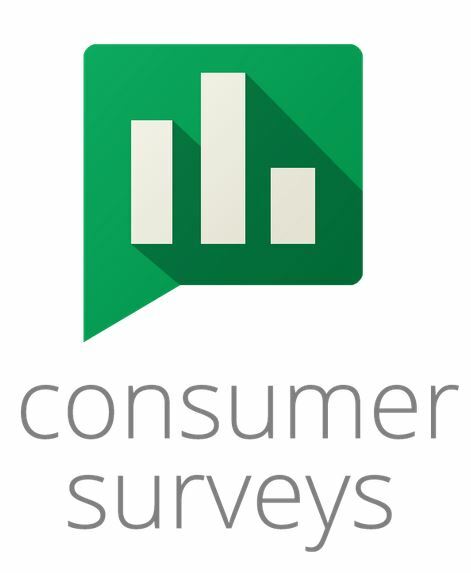 Sounds like you can’t rely on the app to display Consumer Surveys revenue or even the webapp, but you can access your earnings via 1) Consumer Survey Reporting Dashboard or 2) when Google pays you out. …revenues and the data will be updated as they happen. However, since your account just got approved, it may take 2-3 days for data to start showing up in your dashboard. That said, all the payable are being collected and is not negatively affected. Also, as a added information, it takes up to 7 days for the data in your dashboard to finally settle down. Thirdly, we understood that our site would earn money for each survey question answered but we only saw money earned when there was “Earned Extended Access” — are we being paid for individual survey questions answered, or just when the user reaches an access threshold? …you will be generating revenues correlating to the data from Answer columns along with what you see on Earned Access and Extended one too. To know more about the metrics on your publisher dashboard, visit this link. Sounds like you’ll get paid in three ways with the following actions happen: Question is answered, visitor earns access to content, and visitor earns extended content access. It’s new to us (and a new product), so it’s still very much confusing and we’re trying to wrap our head around how it works/payments. Impressions The number of survey impressions served. The impression is only counted when a user can see the survey and the survey question. Questions The number of survey questions served per impression. If the survey has multiple questions then it will only count the number of questions seen by the user. For example, in a 10 question survey where the user only see 3 questions, the report would only report 3 questions. A survey prompt can contain more than one question, but no more than nine additional survey questions. Answers The number of answers provided. Includes answers from prompts with multiple questions such as threshold questions. Earned access The number of responses provided that allowed users to gain access to content. Earned Extended Access The number of times a user earns extended access to content that day. Payment for Extended Access The portion of "Total Payment Due" that was earned from extended surveys (≥3 questions) that day. Total Payment Due The amount due to the publisher per day.